Change of venue this year…because of these earthquakes! I missed out last year holding back for the World Rogaining champs which were held right in the middle. 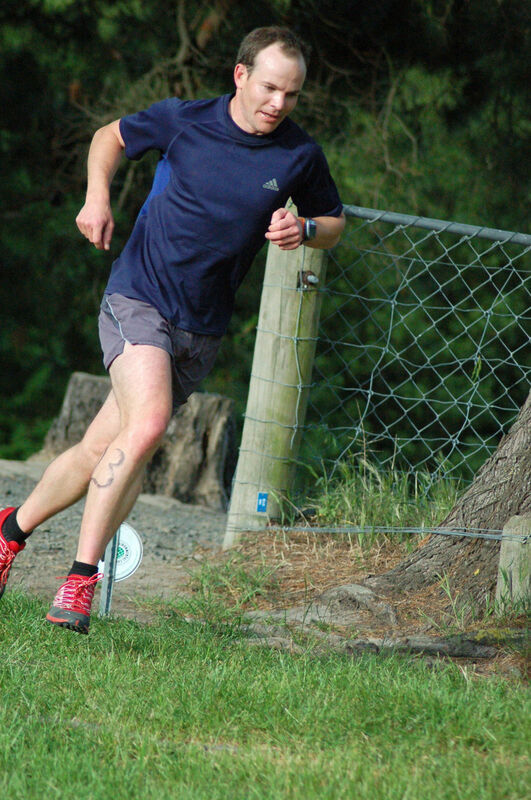 This year I was keen to get my name into the record books with at least one win on a new course out at Halswell. Up the Second hill on the Second lap...Hard work! Turned out it wasn’t as hard as I thought and I managed to take out 1st place in all three races as well as the race record and the series. Both Graeme Bee and Marty Lukes made it a little bit interesting pushing me hard around the course. Each time I managed to get away from them on the decent…which may be a trait of an orienteer! Anyway it was a cool little series and I had some sore legs for days afterwards!